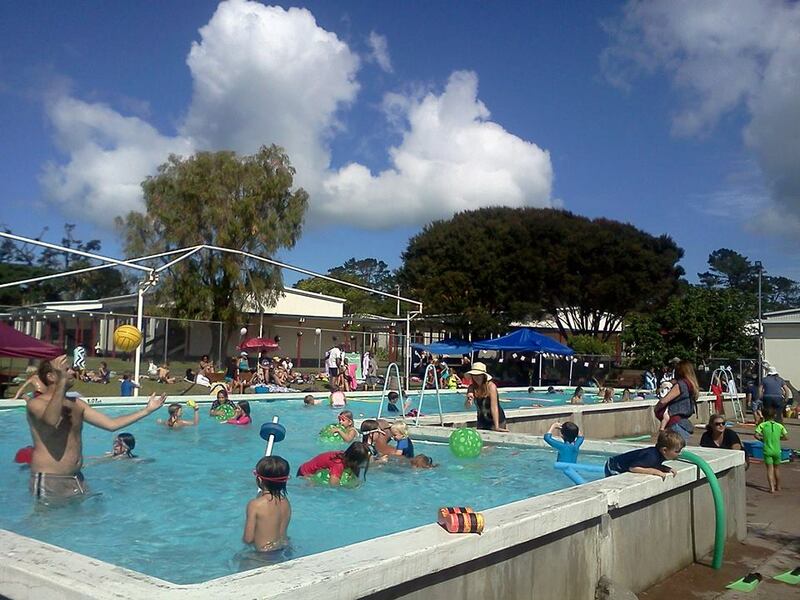 The Te Huruhi Community Pool is a collaboration between the Waiheke Pool Society, Te Huruhi Primary School and Swimgym – and of course, you, the community. Over the 2018/9 summer the Te Huruhi Community Pool will be open to the public for fun, fitness and lessons. In addition, lessons will be given to all school children on the island. “Heated by You” was the fundraising campaign that raised sufficient funds in 2018 to heat the pool to an extent that children and fully grown adults no longer turned blue while in the water. The pool today is typically a balmy 28 since installation of the pool covers and solar pump. The newest equipment – the heat pump – will be put through its paces as the temperatures drop through autumn. The History and Purpose of the Waiheke Pool Society is also available for reading. We welcome new members to our Society.